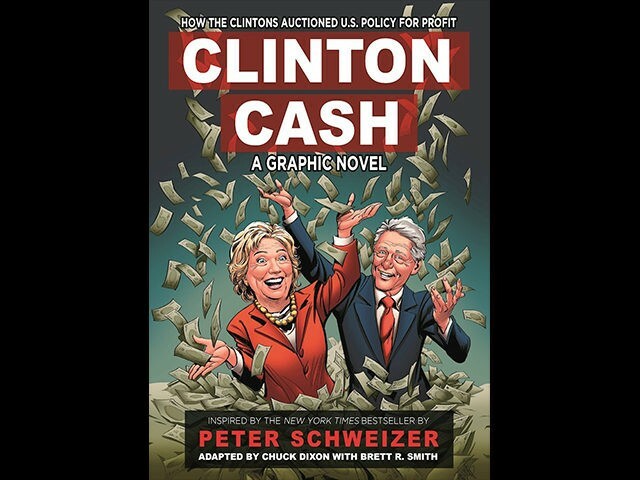 When it was released in May, The New York Times called “Clinton Cash: The Untold Story of How and Why Foreign Governments and Businesses Helped Make Bill and Hillary Rich” by Peter Schweizer “the most anticipated and feared book of a presidential cycle.” Here comes part two. Just in time to attract millennial voters, it’s “Clinton Cash: The Graphic Novel” from Regnery Publishing. Mr. Schweizer has teamed up with comic book writer Chuck Dixon and artist Brett R. Smith to adapt his investigative work into a 112-page expose. His collaborators are DC Comics veterans, producing fare for such characters as Batman, Nightwing and The Punisher. The graphic version will be published Aug. 8 and is now ready for preorder.